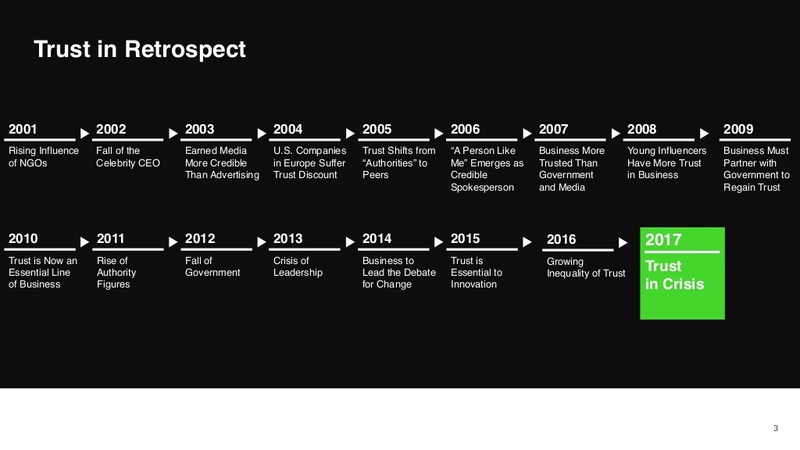 Edelman, a major global marketing communications firm, has been measuring trust worldwide for the past 17 years in order to keep a finger on the pulse of the world’s business climate. Something big has shifted. There has been an “implosion of trust” worldwide over the past year. 2017 has been a year of unprecedented upheaval. The unfolding of Brexit, Donald Trump taking office, worldwide terrorist attacks, and waves of immigrants, plus major tax evasion, bribery, and other scandals. These systemic shocks to trust have increased in frequency, causing a ripple of mistrust globally. Edelman Trust Barometer 2017 shows trust implosion: Can EQ improve the global trust climate? The Edelman Trust Barometer measures trust in four institutions worldwide: business, government, NGOs, and media. The most recent survey had 33,000 respondents from 28 countries. 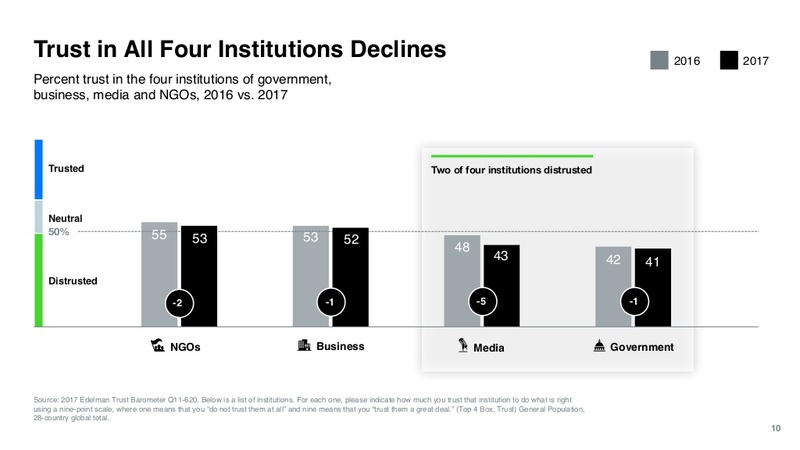 The 2017 Edelman Trust Barometer found that two-thirds of the countries surveyed are now populated by “distrusters” (under 50 percent trust in the mainstream institutions of business, government, media, and NGOs to do what is right), up from just over half in 2016. 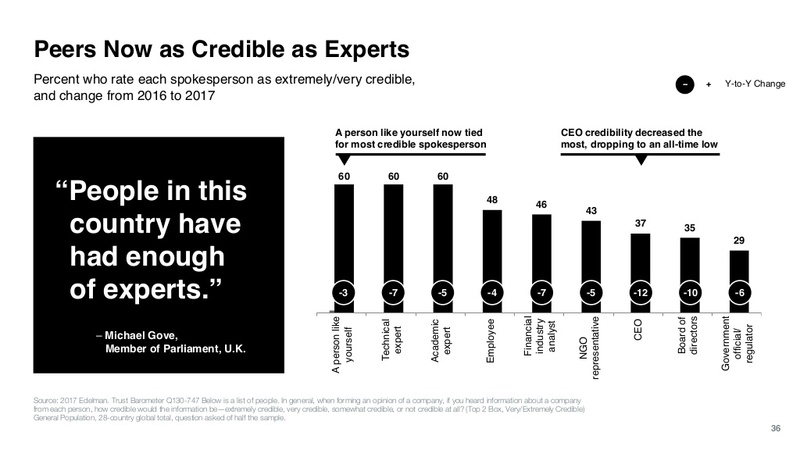 Only 37 percent of the general population now say CEOs are credible, and 29 percent say the same about government oﬃcials, making them the least credible spokespeople. CEOs in Japan have only an 18 percent credibility rating. 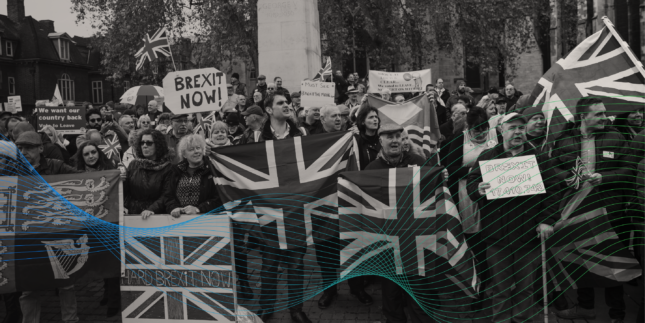 Over two-thirds of the general population do not have conﬁdence that current leaders can address their countries’ challenges. Business is on the brink of distrust. In 13 of 28 countries, business not trusted. For business, the survey found that the three most important attributes for building trust are 1) treating employees well, 2) oﬀering high quality products and services, and 3) listening to customers. Government is viewed today as incompetent, corrupt, and divided, the least trusted global institution at 41 percent. Government is now distrusted in 75 percent of countries. Mainstream media, which in the past was trusted as the government and industry watchdog serving the public interest, is now mistrusted in 82 percent of the countries surveyed and ranks near government in level of mistrust. The stated reasons were that the media was “politicized, unable to meet its reporting obligations due to economic pressures, and following social media rather than creating the agenda.” Social media has created echo chambers where viewers and readers only see messages that reinforce their beliefs, and the constant criticism of the media as “fake” by some leaders has caused a further erosion of trust. Significantly, 59 percent of respondents would believe a search engine over a human editor. 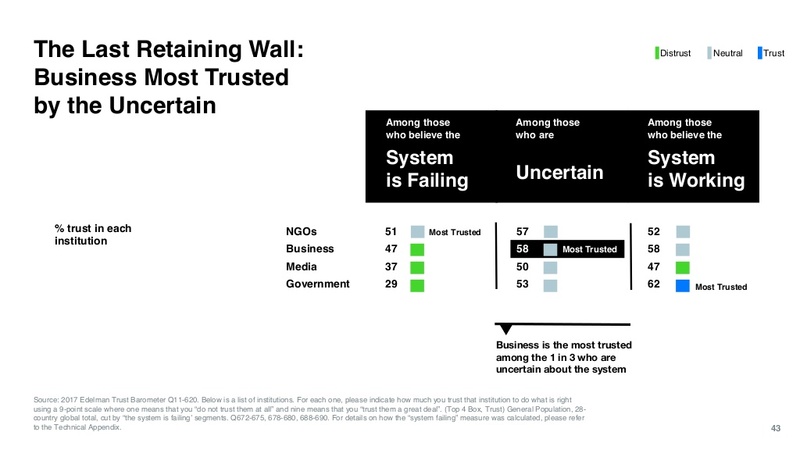 For the ﬁrst time, trust in NGOs has fallen to nearly the same level as trust in business. 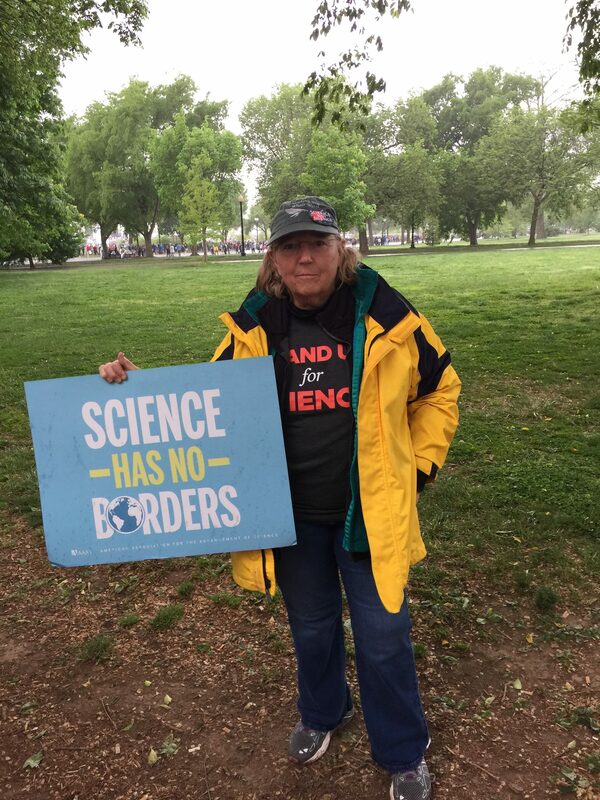 In the GDP 5 – the U.S., China, Japan, Germany, and the U.K. – trust in NGOs fell below 50 percent. 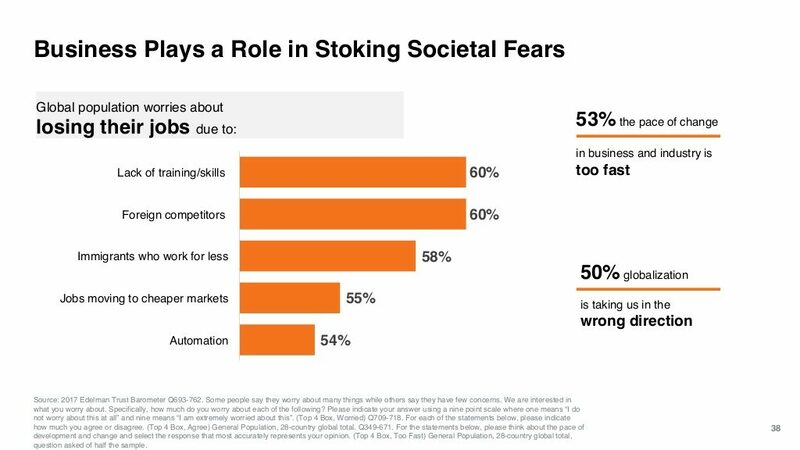 Notably, 85 percent of respondents lack full belief in these types of organizations. How did we get here? Why is this happening? The authors, Richard Edelman and his researchers, say the origins lie in the global recession of 2008 and the ripple effects that are still being seen across all sectors. The report posits that trust started eroding with the EU’s inability to resolve the Greek and Portuguese loan crises, and spread to the U.S. with the Republican-led budget impasse. For Brazil, Mexico and South Africa, trust began to slide with scandals. Businesses and business leaders fared no better. Nearly one in two of the general population agree that free trade agreements hurt a country’s workers, while 72 percent favor government protection of jobs and local industries, even if it means a slower-growth economy. Fifty-two percent of the general population says a company’s eﬀort to protect and improve the environment is important for building their trust. Parsing the data further, the report reveals some nuances: those who feel certain the system is failing place their trust in NGOs. 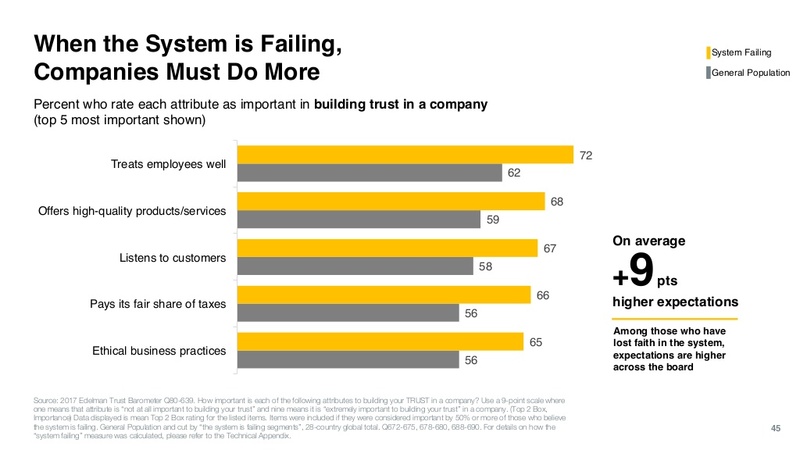 Among those who are uncertain whether the system is failing or not, trust is placed in business to solve the big problems, and among those who still feel certain the system is working, governments are trusted the most. Are these at odds with the forces of mechanization and globalization mentioned at the beginning of this article? If so, how will businesses adapt? No mention is made of global warming or environmental change as a driver of mistrust, except to say that businesses would be well advised not to lobby populist governments to loosen environmental regulations because the public overwhelmingly supports strong environmental protections. 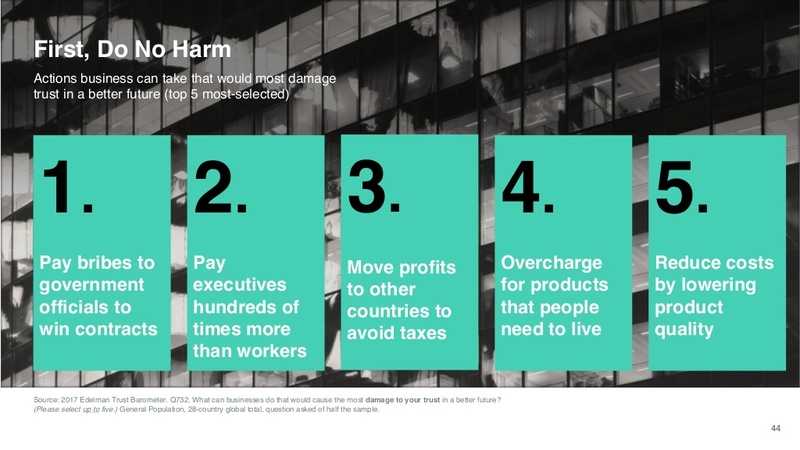 Edelman calls on businesses to go beyond their usual role and begin to advocate for human needs and systemic change. That leaves it to the general public to either develop new institutions they do trust or overhaul the entire system. How does emotional intelligence factor into this global picture? Is it enough to have a noble goal for one’s self or do we need to develop noble goals for ourselves collectively as human beings? There are no easy answers to these questions, but hopefully this article will provoke some discussion of how the emotional intelligence community can respond to a world where change is constant and unsettling with a positive vision that will override fear and reactivity. Great post Rachel and some sobering stats! I think we’re unlikely to change the many senior execs and so called leaders that are causing this lack of trust so we need to take the longer view and teach EI to the masses, especially young up and coming managers, our future leaders. Take it into more schools and colleges so that the leaders of tomorrow are far better and trustworthy than the ones that have gone before them. Reece, great points and very timely, given all that is happening worldwide. Starting with younger folks whose patterns are less established really does make sense. Great article and hopefully our Australian big bank CEOs are listening and acting on real ways to rebuild trust.